I aspire to share my learnings through writing, but the process is difficult for me. 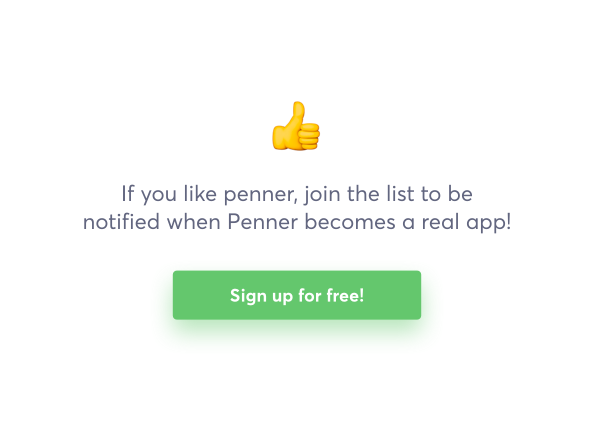 I created Penner to help me my biggest personal blockers: when I am feeling ready to write I visit my list of ideas only to find incomplete back-of-the-napkin thoughts which I've lost context on or don't understand enough to write about. Penner is meant to help me structure my thoughts about a topic to make it easier to write the actual piece in the future. By asking only a couple of key questions and prompting me to add my key points my back-of-the-napkin writing becomes an outline to follow. Furthermore, Penner provides encouragement by reminding me to write about my ideas. The product was made for me, but I thought it would be fun to see if the public was interested in it as well. 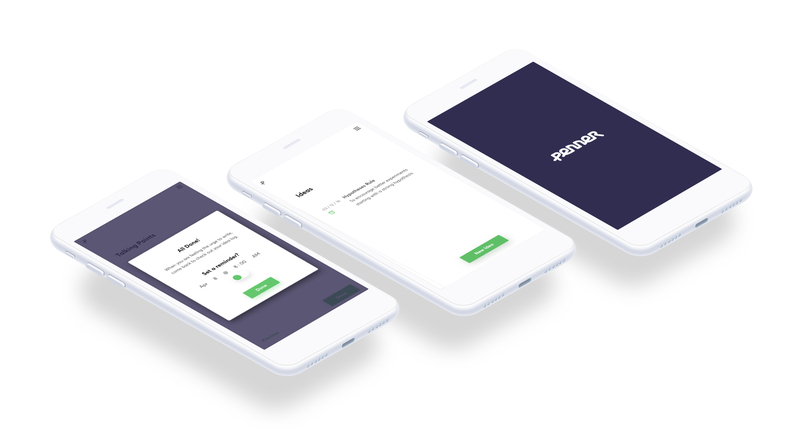 This case-study is about building the product for me to solve my problem and testing if others had shared problems and an interest in solving them with Penner. I learn from everything around me, notably peers, mentors, personal experience and life itself. Although I have a strong desire to share my learnings with others though writing, I generally get too distracted or overwhelmed to do it. I try to find time at the end of the week to sit down and write. I look at my list of ideas I want to share and I try to pick out the ones that are the most relevant or exciting. This process has loads of flaws. Sometimes I don't recall the details of the learing or I don't understand my back of the napkin thought. Other times the idea has grown too complex and I feel disorganized or disconnected from the idea and cant' write about it. When I have an idea I'd like to share, I take rough notes that don't provide enough insight for me to write about later. I don't write often enough and when I sit down to write I feel overwhelmed by all the learnings I'd like to share. Note taking experience left a lot to be desired. No structure or template to follow when inputing my thoughts. Great reminders that did help encourage me to write. Created a template to follow which did improve the quality of my note taking, but still left a lot to be desired. Good reminders/due-dates that did get me to look back at ideas. Not easy to use on your phone or on the go. Bonus - allowed me to set states on ideas like pending, working on, draft, etc. Bonus - could have others comment and review my ideas. Good structure for inputing ideas. Good note taking experience on the phone. Couldn't organize talking points once they were inputted. Tough to access my ideas once I inputted them. No reminders to encourage me to look back at my ideas and start writing. Trello was by far the best, it had a couple bonuses and did an okay job - but in the end it didn't provide me the structure I needed to improve my note taking and wasn't a great mobile experience. I didn't find any tools that fully solved my problems, so I set out to design something simple that might. Structure the ideas as they come in to make it easier to digest at a later time. Remind me to look back at ideas to encourage me to sit down and write. Mobile friendly experience so I can take notes as they come up. Simple interface to look back at ideas and identify the staleness. "I like the fact that it asks me specific questions. Its like creating an outline"
"I could use something like this. I have a big list of unorganized ideas that I never look back at. I think this might help me with that." "Can I share it with my friends? I would love to get other people opinions about my ideas." "Oh, this would be fun if I could collaborate with people"
"I think there are better note taking apps out there. This is a little too rigid for me. But I like that it reminds me. That is really nice." "Hmm... I like it, but I don't think I would use it. It doesn't do anything for me that Trello doesn't (ha)"
Ininitally when I was asking other people to look at my prototype I was more showing it off than soliciting feedback. I thought it was a cool little tool and thought others would agree. I felt somewhat validated in the responses I got, so I began to wonder if this tool might be a decent solution to a larger audience that shares my problems with writing. I decided to throw up a splash page, run a Facebook ad, and see what kind of response I got. One of the more common experiments I run is creating a marketing page for a product that doesn't exist. Testing to see if certain audiences have certain problems and are looking for a solution. Generally I don't even have a protoype for a solution, but at this point I did and I thought it would be fun to share. This splash page isn't like others I have made to test interest and validate a product idea. The main difference is that it was overly transparent - I am revealing that the app isn't real, but if I get enough interest I will make it. 7/2/16 I am sitting on this idea until I get validation. I haven't launched the splash page yet, but will be doing so shorty. I will post the metrics here to show you how things are going!